In a routine operation, Chief Inspector Frank Stave is shot down. He survives, but transfers from the murder commission to the office combatting the black market. There, Stave is confronted with an enigmatic case: Trummerfrau, women helping to clear rubble from Hamburg's bombed s... read full description below. In a routine operation, Chief Inspector Frank Stave is shot down. He survives, but transfers from the murder commission to the office combatting the black market. There, Stave is confronted with an enigmatic case: Trummerfrau, women helping to clear rubble from Hamburg's bombed streets, discover works of art from the Weimar period - right next to a unidentified corpse. Shortly afterwards, mysterious banknotes whose existence disturbs the Allies' secret plans begin to pop up on the black market. The Supervisor soon discovers strange parallels between the two cases. With the introduction of a new currency, Stave thinks he is on the brink of a solution. But the truth is dangerous, and not just for him. Cay Rademacher was born in 1965 in Northern Germany, but lives now in Southern France. (Anybody who has seen both places knows why.) He has studied history and philosophy in Cologne and Washington, D.C. and is working as a journalist. 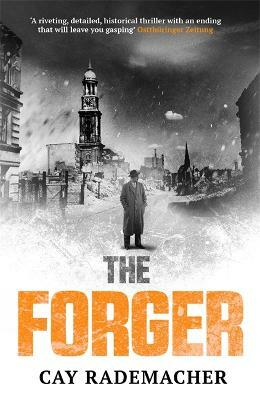 He is also the author of several thrillers - including the trilogy on Oberinspektor Frank Stave, who is fighting crime in the ruins of British-occupied Hamburg in the 1940s.